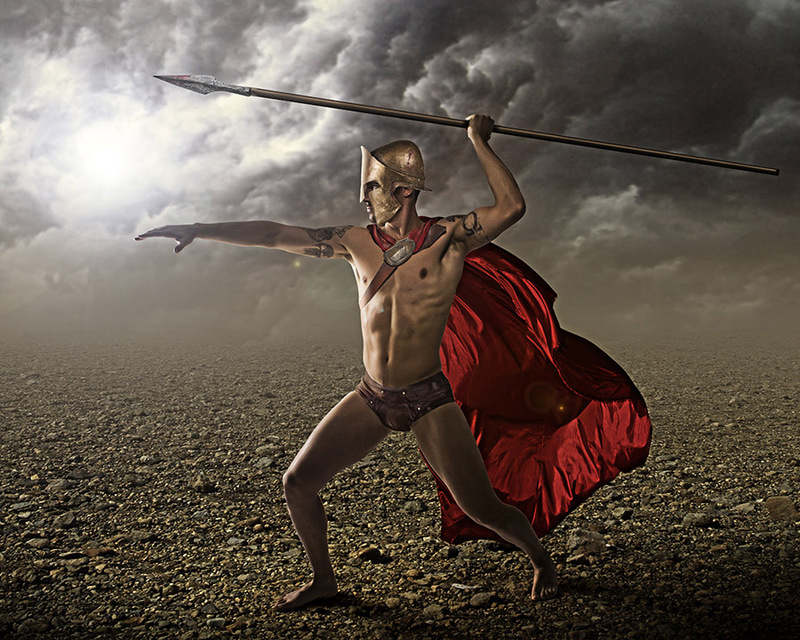 Model and actor Greg Gutshall wanted to do a warrior shoot. He is a big fan of the movie 300, and brought a replica sword from the movie. We shot in the studio against a white background. For this shot, he opted for a spear as his weapon. He actually stood there with a metal pole used for photography backdrops. He had no spear, helmet, or cape. All of that, as well as the background, was added digitally.